The beauty of our basic computer skills training for the pastors and ministry leaders is that they are not beginners in ministry. They are seasoned preachers and teachers who have been ministering to their local churches for a number of years. 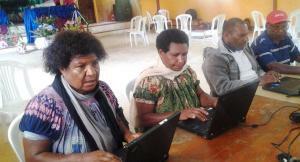 This current training organized by Papua New Guinea Christian Fellowship (PNGCF)Church at Kugla, Mt Hagen, Western Highlands Province has lived up to its name to invite other pastors and women leaders from different denominations and ministry groups to participate in the training. It is a beautiful picture of sharing with one another for a common goal; to win lost souls for God’s kingdom. All pastors and ministry leaders are in need of acquiring skills to minister to changing congregations in Papua New Guinea. Various pastors and women leaders from Assembles of God, Christian Apostolic Fellowship, Christian Fellowship Centre, Widows Ministry Group and Seventh Day Adventists expressed their appreciation to the organizers of this course, namely Pastor Alois Aiya and Pastor Amos Mek of PNGCF. 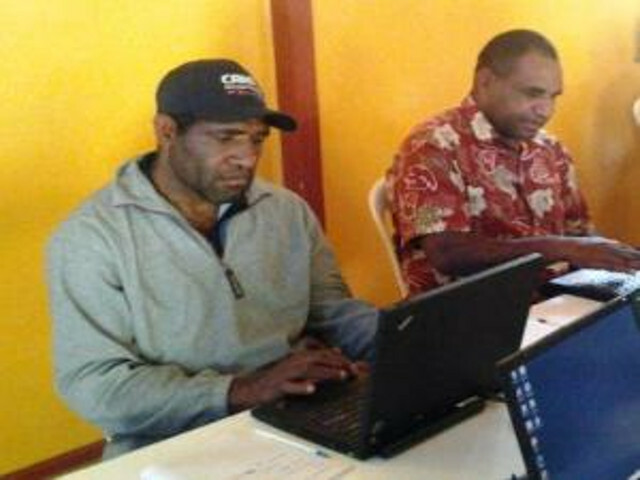 Pastor Amos was the main conduit for this particular training to connect CRMF’s Learning Technologies PNG to offer the basic skills training. He actually heard his cousin brother Billy Kewa (CRMF Accounts) sharing about the ministry of CRMF and the various options available for equipping pastors. Pastor Amos took it further to request for the BCT training and also made a trip to Goroka to meet with the LTPNG staff and discuss the arrangements for the training. He is a typical story of how the Lord has caught the attention of pastors who are searching for ways to train and equip their pastors and ministry leaders. I have learned and respect the knowledge that most of the pastors in this particular training have taken into full time ministry not as trained Bible School graduates but as “believers” in the transformation power of the Word of God. They have a heart to share what the Word of God has done in their lives and so to be assisted by a basic computer course to help them prepare for today’s generation is a bonus. The beautiful thing for us as facilitators was to discover the kind of participants that the Lord brings us to train. I praised God for the zeal of the pastors to dig deep and trust their Lord to continue to spread the Gospel of Christ. Pastor Alouis Aiya is in charge of the PNGCF at Kugla but is currently nurturing a Church at Port Moresby. 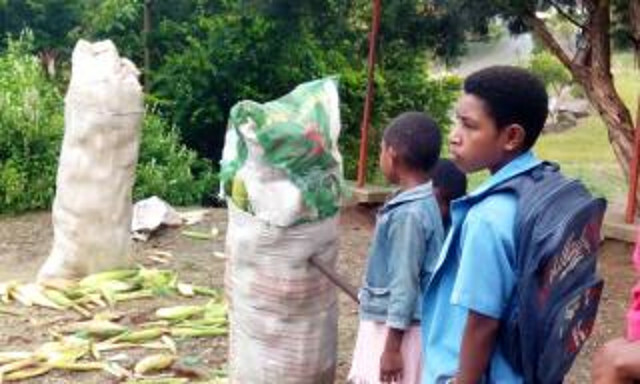 It all began when a family living in Port Moresby came home (Mt Hagen) for a break and during their stay Pastor Alois shared the Word of God with them. God used this opportunity to speak to the hearts of this couple who invited him to go to Port Moresby as they wanted to hear more. While in Port Moresby a lawyer friend of this couple asked Pastor Alois to pray for his sick son. This lawyer also invited his other lawyer friend to be with him for this occasion; the Lord healed the lawyer’s son and both lawyers and their families became members of this little church which is growing. 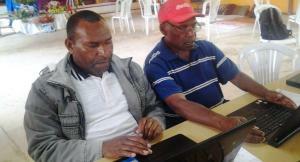 Pastor Alois is a kind of participant who will use the basic computer skills training to organize his time between two churches which need his pastoral care. 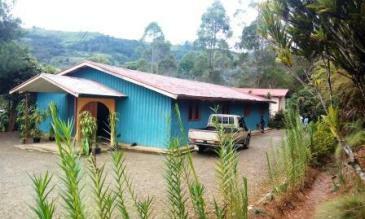 He stated that his local church in Mt Hagen will support him to reach out to the needy in Port Moresby. Our other notable participant was Mr Paul Poning, Supervisor for Widows Ministry. This ministry is made up of over 100 widows who work together under Paul to pray and support each other in this ministry. Some of these widows are wives of pastors and ministry leaders who have died. Mr Paul said this training is timely for me and has really assisted me to set up an office to monitor the activities of Widows Ministry. There are a lot of widows out there who need help and so setting up an office will really help my work. I have also sponsored two widows who are in this training with me with an aim to set up an office to properly monitor the existing women in the widow’s ministry. The next step is to continue to partner with CRMF and other Para-Church organizations to equip women for ministry in our communities. We thank the Lord again for bringing key people for training and equipping; we can see them as participants but the Lord has called them each by name to be special instruments for his work for the greater good. PNGCF living up to its name – bringing others together to be trained.